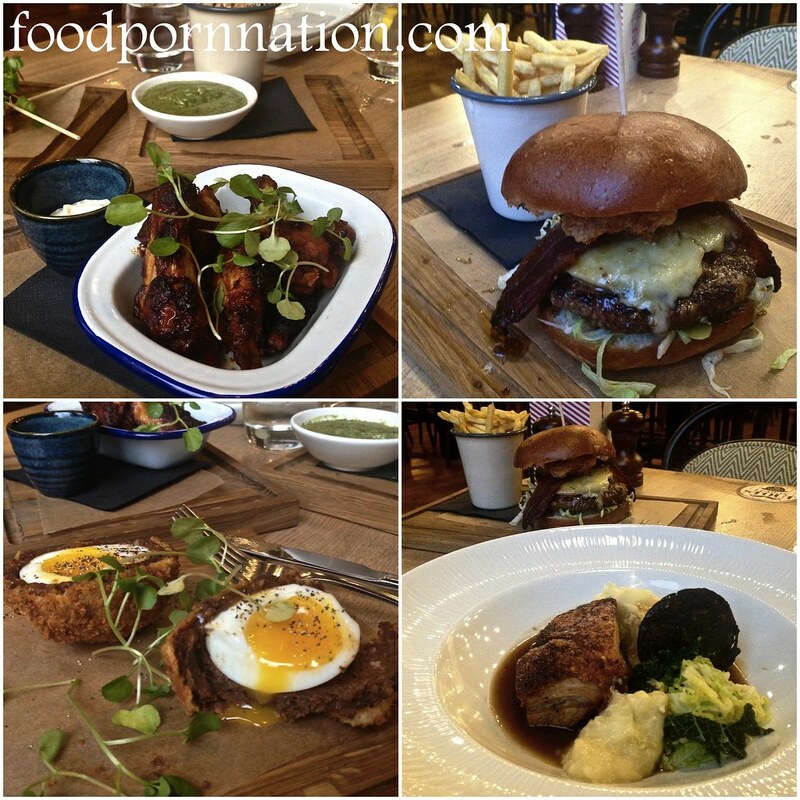 The Porchester is a gastropub located in the heart of Bayswater. Part of the Young’s Pub Group, it is a colourful local completed in warm autumnal colours. The interior skillfully strikes a balance between a modern and a traditional English pub. Similarly this concept carries through to the menu which is traditionally British but cooked with a modern flair. To begin, we couldn’t resist ordering a few items from the bar snacks. 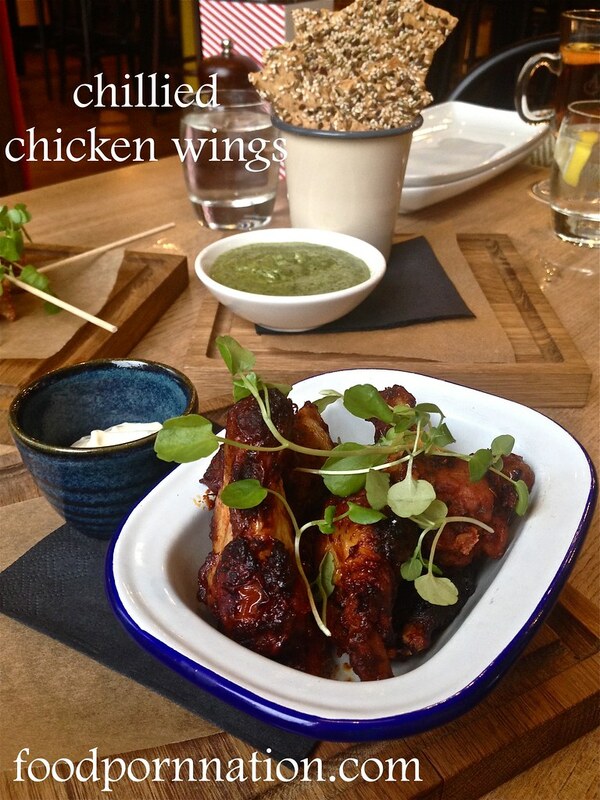 The chicken wings (£4) fell off the bone and were slightly charred which gave them a lovely caramelisation. Cooked with chilli, they also offered up a light kick of spiciness. A ranch dressing was a nice accompaniment to these subtle yet spicy wings as it provided a deliciously cool and tangy contrast. The chorizo and black pudding scotch eggs (£3.50) was the standout from the bar snacks. 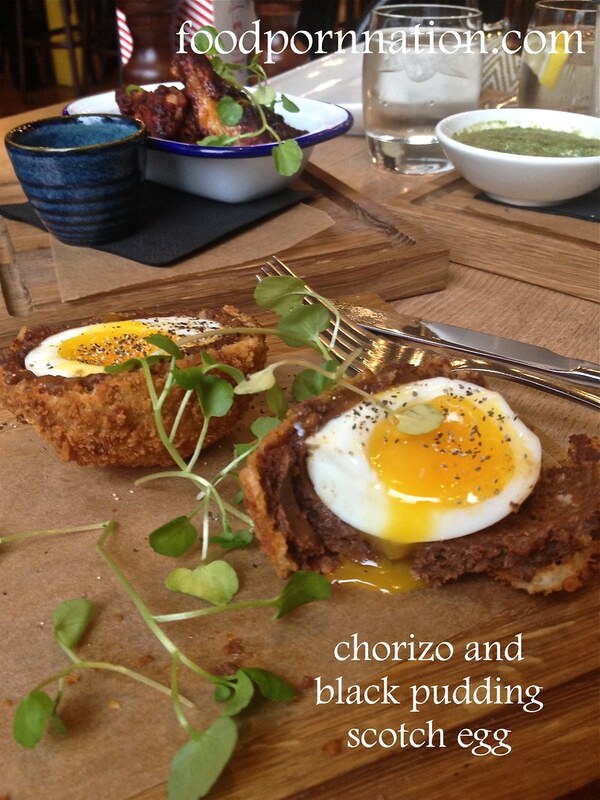 The black pudding and chorizo paste struck a great balance in the scotch egg as it was soft and subtle without undermining the delicate flavour of the runny egg. The textural contrast between the soft gooey interior of the egg against the crunchy crumb coating made it even more scrumptious.